Toronto's Raising the Fawn might not get the attention the rest of the Broken Social Scene splinter groups receive, but the band is emerging as one of the best of the lot. Although John Crossingham has long been part of the extended Broken Social Scene family, his own band Raising the Fawn tends to stand alone, keeping a polite distance from the other collaborative celebrations we usually get from the band's Toronto cohorts. If you ever see Broken Social Scene in concert, the same can be said for Crossingham's role in the band; while other members swap lead vocals, provide the central guitar riffs, or lay down memorable solos, Crossingham is off to the side, either playing subtle rhythm guitar or hunched over his effects pedals, creating otherworldly drones. The same goes for his own music, too; while Feist, Collett, and other hustling apostles continue that dozen-people-on-a-stage camaraderie, Raising the Fawn stick to being a simple trio of guitarist, bassist, and drummer, and as they've proven over the last couple years, they're very capable of producing as massive a wall of sound as the dense Scene can. The only thing missing, though, despite the many critical accolades, is the kind of hipster cachet that blesses every other Broken Social Scene splinter group. 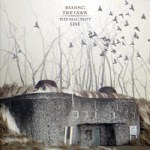 It might be only two years since Raising the Fawn's excellent The North Sea, but the band's new album has actually been much longer in the making; because The North Sea sat on the shelf for more than a year, in actuality, The Maginot Line is the band's first "new" music since 2003's By the Warmth of Your Flame EP. Taking its title from the tragically futile post-WWI French fortifications that were designed to prevent trench warfare, but were helpless against the German blitzkrieg, The Maginot Line, while still expertly balancing progressive, guitar-heavy shoegazer elements with moments of pleasant indie rock, takes the trio's distinctive style into new, very pleasing directions. Whereas The North Sea alternated between moments of effervescent pop ("Gwendolyn"), gentle beauty ("The News"), and epic waves of guitar ("Drownded"), The Maginot Line is less about the instantly accessible thrills, emphasizing a more subtle, slower-burning style, with better continuity, the mix less bombastic and much more intimate. Preceded by a sumptuous overture of ascending, E-bowed guitar notes, the equally ascendant "Carbon Paper" is the closest thing to an accessible, single-worthy song on the album, Crossingham's versatile voice alternating between soaring notes and gentle falsetto (which has become his trademark), the band careening toward a cacophonous, Sonic Youth-like climax. "The Matador" is a fine example of the restraint the band shows over the course of the entire album, the distortion toned down, and ultimately fading out during an acoustic coda. The lengthier, more atmospheric pieces remain the trio's forte, but are slightly more compressed and less sprawling this time around. The first half of "Christmastime in the Fields" is as ominous as watching a prairie storm roll in, seeing the entire plain covered in an instant by the shadow one cloud, before a very dark organ melody enters the fray just as the storm begins to break, Crossingham's guitar squalls punctuated by Dylan Green's cymbal crashes. Opening with a post rock-style array of distortion, "Until it Starts Again" dissolves into an extended a cappella bridge recorded outdoors (complete with "wood chopping", "mud stomping", and "gravel grinding"), before exploding into the kind of uplifting denouement we've come to expect. The title track, meanwhile, is a brilliant combination of the band's accessible side, their tendency toward minor key dissonance, and a terrific, lurching outro riff that smacks of Crazy Horse. Recorded at the rustic home studio of Canadian singer-songwriter Sarah Harmer, The Maginot Line, for all its ambition, exudes a warmth that the chilly and foreboding The North Sea tended to lack, the intimate, yet melancholy "The Cloak and the Veil" (carried by Scott Remila's resonant bassline) being a perfect example. Veterans of the Canadian indie rock scene, and well-traveled across the huge country, Raising the Fawn has become not only a very strong live act, but one of the best bands north of the border, their own music veering away from the orbit of Broken Social Scene, resulting in an evolving sound that, in the near future, might prove to be far more bold, and hopefully, just as well-known.